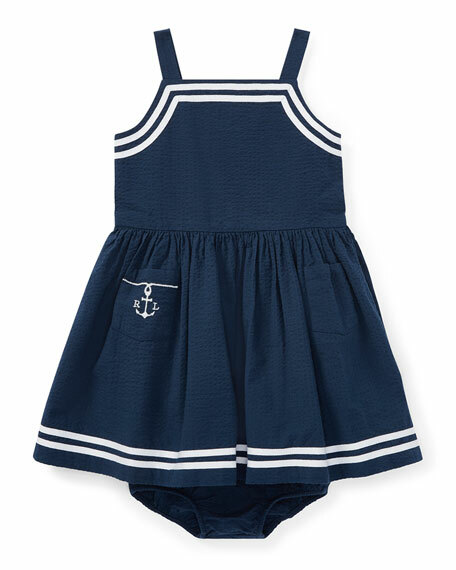 Ralph Lauren Childrenswear seersucker woven dress. Striped detail at neckline and hem. Anchor logo embroidery at right pocket. Dress, lining, and bloomers: cotton. For in-store inquiries, use sku #2639063.